Dried in a fully controlled environment. Average moisture content below 20% ensures a clean, efficient burn. 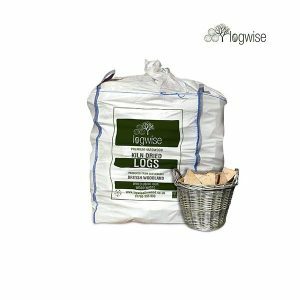 These logs will burn for longest and with the maximum heat output, meaning fewer logs are required. No soot or tar build-up means few stains in your stove. Low level of wood sap means these logs will not spit. Our wood is sourced locally from well-managed sustainable woodland in Yorkshire. Our packaging is locally sourced and recycled or recyclable . Our crates are made from reused pallets, and locally sourced softwood then built by hand on our premises. Our plastic packaging is recycled polythene, sourced and printed in the UK. 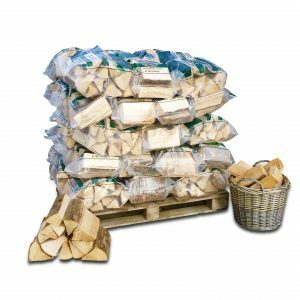 Our kiln dried logs are dried in a biomass kiln, powered by the wood waste from our site. To demonstrate our belief in sustainability we have independently planted over 500,00 trees, and we donate to ongoing woodland management through the Woodland Trust. The Logwise Quality Assured scheme provides full information on the types of wood and the woodland the timber came from with each order, along with the processing and packaging timeline.